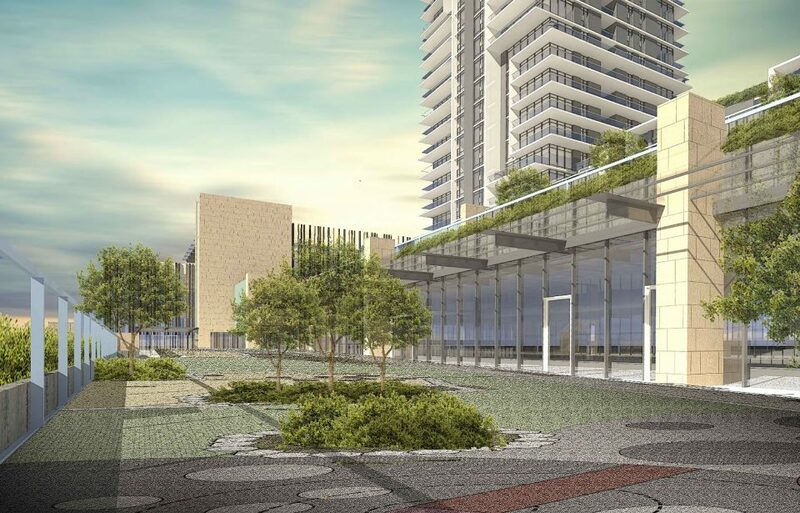 A 27-storey tower by Onni Group on the Pearson Dogwood lands is set to go before the Development Permit Board on May 28. The tower, designed by IBI Group, will include 171 market residential units, as well as six, one-bedroom supportive housing units. 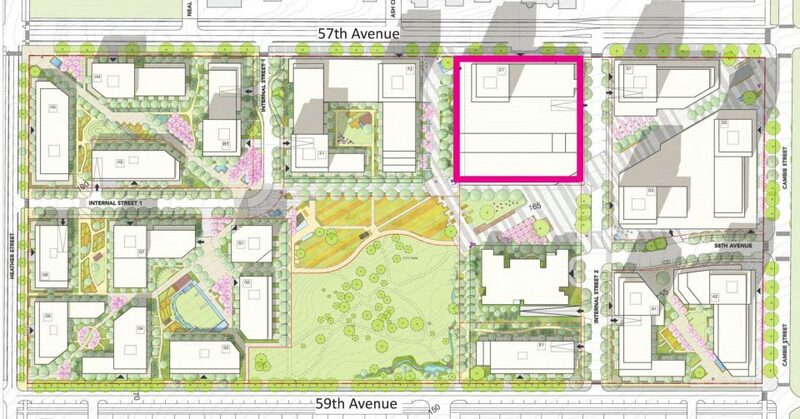 It’s located on Parcel C, which is on West 57th Avenue between Cambie and Heather streets. 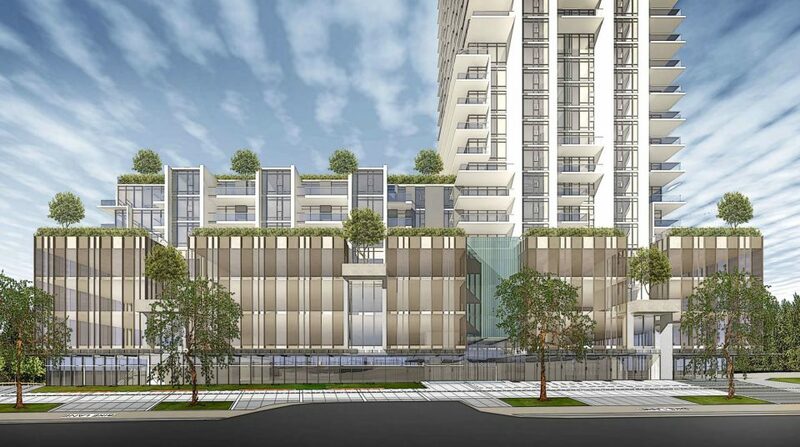 The tower will have retail units on the ground floor, as well as a community health centre, therapy pool and child daycare centre in the seven-storey podium. Four levels of underground parking will be accessed via a new internal street running north-south. The tower will front onto a new pedestrian plaza to the south, called “Pearson Plaza.” The terraced podium will feature a large clock tower with stone-covered walls, visible from the plaza. 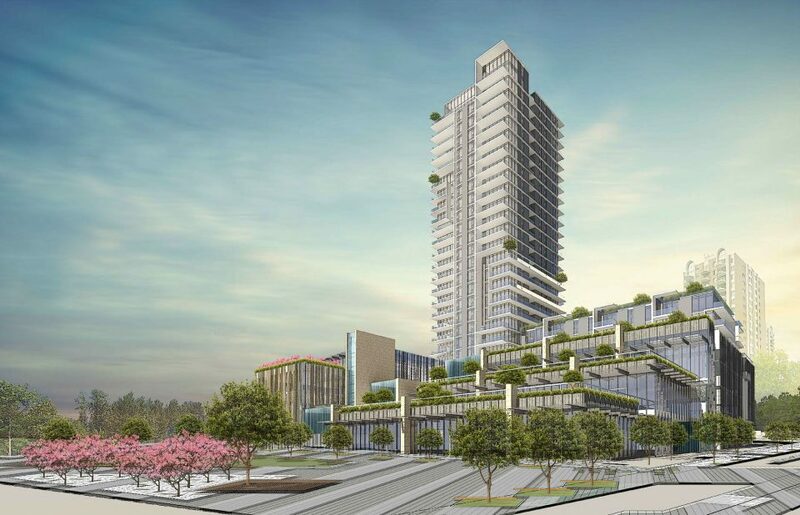 The tower is part of Onni’s redevelopment of the Pearson Dogwood site, now known as Cambie Gardens. 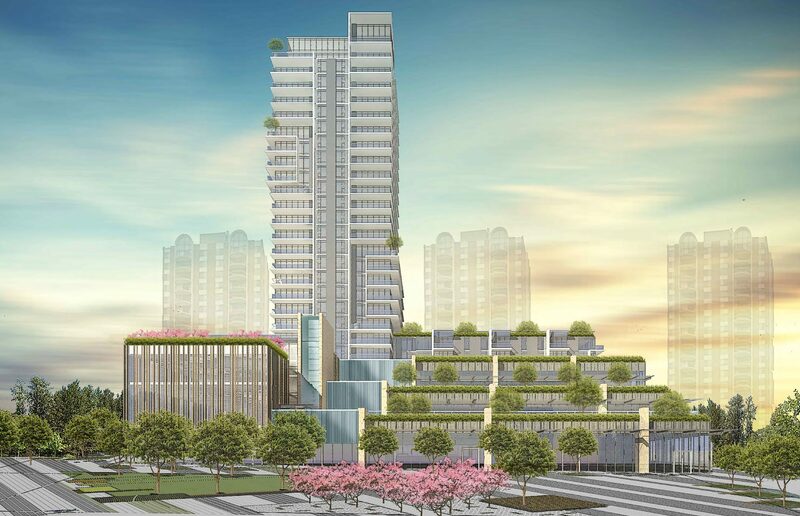 The full build out of Cambie Gardens will include 2,700 units, a 2.5-acre public park and a one-acre urban farm.